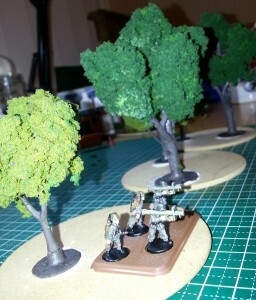 One of the most basic and common types of terrain in miniature war gaming is the trees or forest. It seems like if you have nothing else, at least have some trees or patches of “forest” for some added cover. A lot of trees I see in articles and videos online are those made by Gale Force 9. Yet whichever store I looked in I could not find any in stock. There could be only one solution?… make my own! A quick visit to the hardware store for some bases and the hobby store for some trees and flock and other little bits and pieces and BOOM! We have some movable terrain trees. 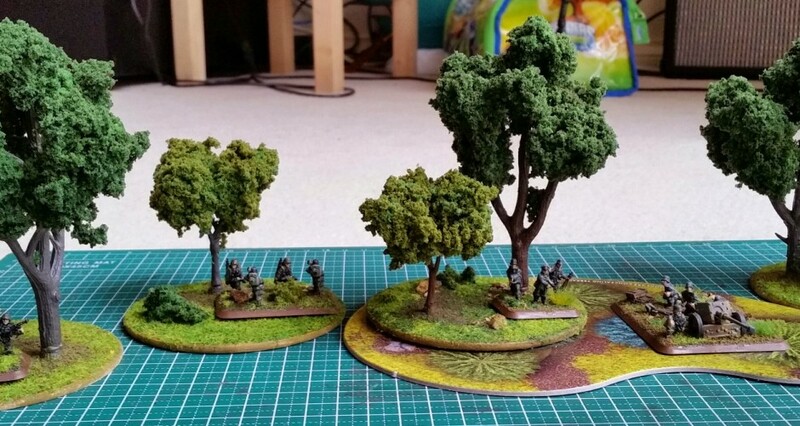 I chose these coaster type pieces of MDF (Medium Density Fibreboard) for the base of the trees so they’re more stable when placed on the playing surface. Couldn’t imagine anything more annoying than scenery falling over as the table is bumped or playing matt moved slightly. Next, we just need a wider base/area of some sort to represent the area on which the trees will stand as a section of forest. Again, there are some ready made grass areas you can purchase from your local model train/hobby store. Simply create a base board from some thin plywood and attach the grass to the top. Alternatively, paint the plywood with some earthy coloured paint, glue down some flock and other material for some contrast. 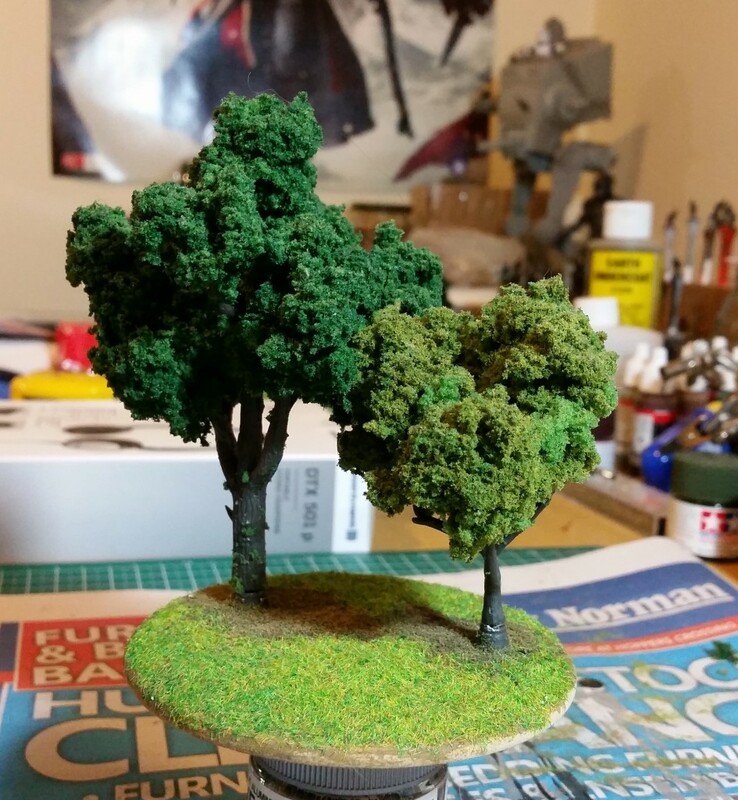 Don’t forget the flat 2D forest scenery that comes with the starter set, you could use that in combination with these trees also (as shown in the featured image at the very top). 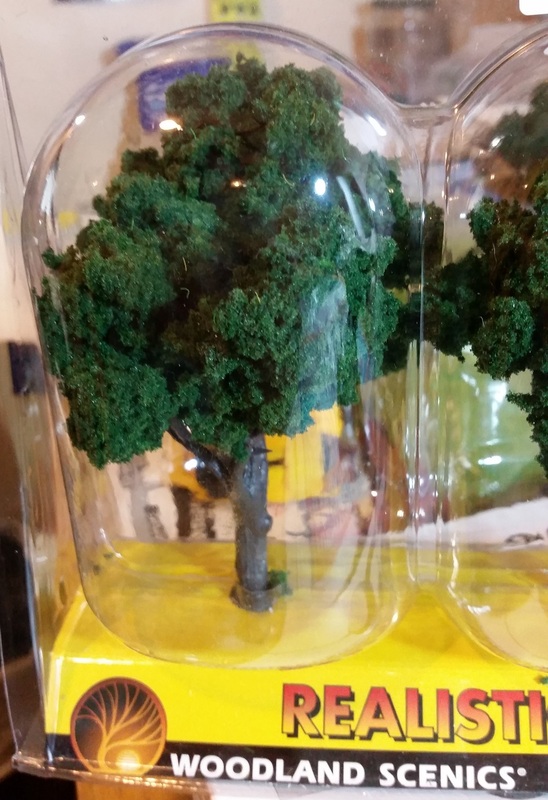 Another option might be to find some green/brown fabric at your local craft store, stitch the edges so they don’t fray, spray on some paint to give it a defining look of a forest floor and put the odd tree here and there. 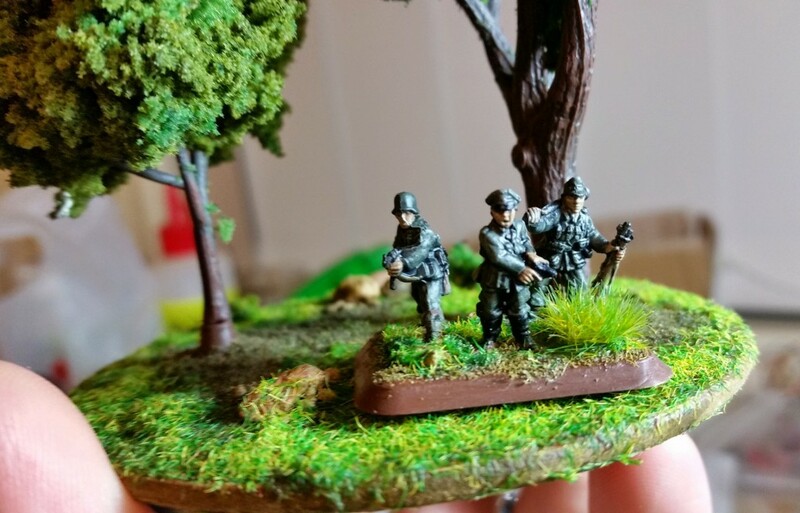 This entry was posted in Gaming, Miniature Wargaming and tagged mini war gaming, scenery, terrain, war gaming. Bookmark the permalink.